The tour features five of God's oldest churches in the Gordonville and Tilsit area. The tour is free and open to everyone. 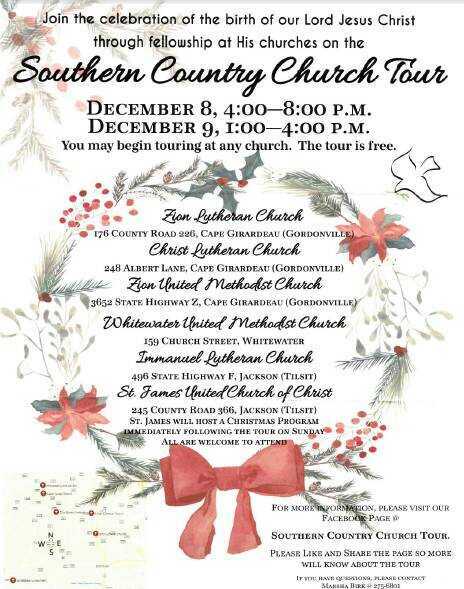 You may begin at any of the churches either on Dec 8 from 4 to 8 p.m. or Dec 9 from 1 to 4 p.m.
St. James will host a Christmas Program immediately following the tour on Sunday. All are welcome to attend.